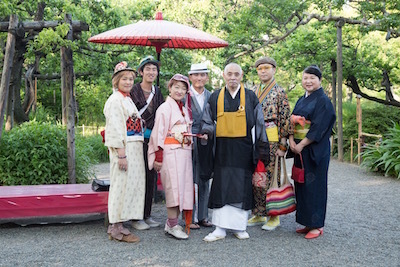 We walked our town with Kimono on May 22nd. 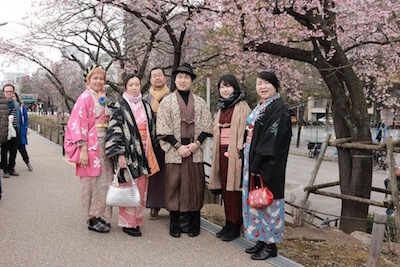 We walk around with Kimono on Apr. 9th. 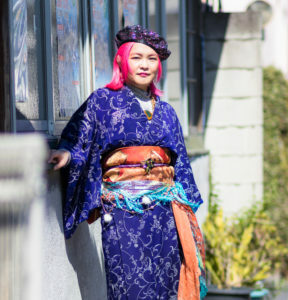 Walk around with Kimono on March 13th. 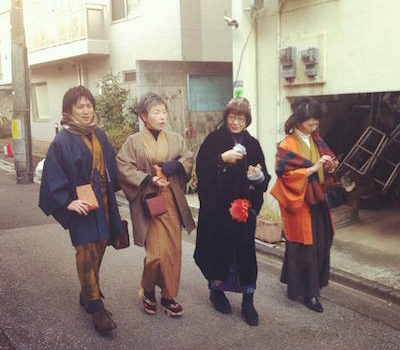 Walk around local area with Kimono for 3rd time on Feb. 4th. 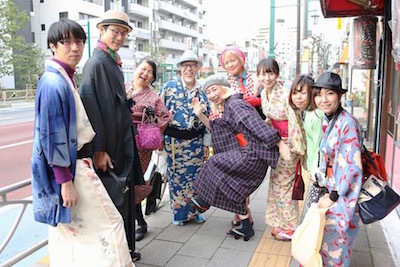 On February 4th, we held casual Kimono event for third time. It was weekday, but many people joined the event. We went to Takagi-Shrine, Tobiki-Inari-Shrine, Sky-tree and Cafe IKKA. I will put better photo cameraman took later. You must check the Ginkgo tree. Thank you for watching our broadcasting. 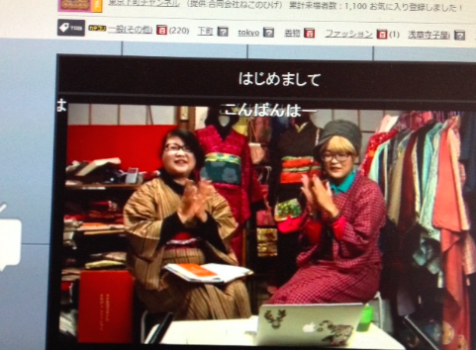 Last year, we started broadcast on live with Nico Nico Douga. And it become regular live. Every second and forth Tuesday on 19:00-21:00. On January, we already have URL. Check the URL bellow. １月１２日のURL January 12th URL http://live.nicovideo.jp/watch/lv247762835 January 26th URL http://live.nicovideo.jp/watch/lv247763197 Last time picture. 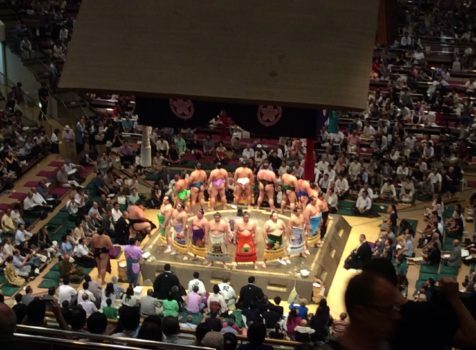 On January 12th, member of SAMURAI Soul will come as the guest. 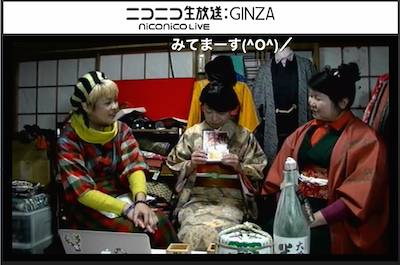 I did their styling last Christmas live. I will not tell who will come this time. Same as last time, we will drink at the live, please ready your drink.